The search for his successor will begin in the New Year. 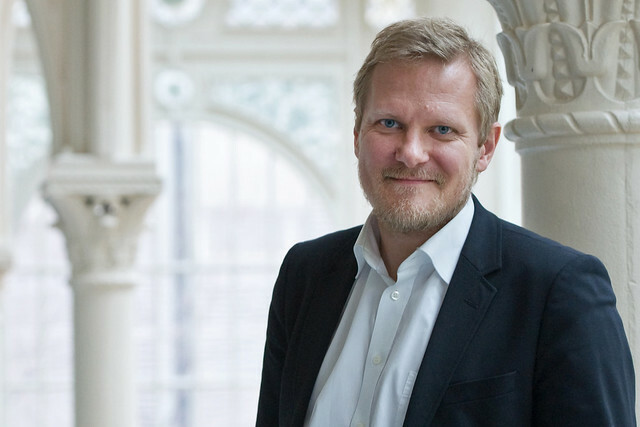 Kasper Holten, Director of Opera at The Royal Opera, will leave the Company at the end of March 2017. The search to find his successor will begin in the New Year. I can only endorse everything that Antonio Pappano and Alex Beard have said above. Nothing to add but heartfelt thanks and very best wishes. Good. Perhaps the ROH will use the opportunity to appoint someone whose productions might actually do some justice to the composers concept and even give some pleasure. Why do you think that the composer would have a concept? Very few of them write their own librettos, and mostly they are more concerned about philosophies rather than plot. A foolish, ignorant comment. Have some manners! A rude, arrogant comment. Learn some manners. Well said! Perhaps Kasper Holten talent for mounting hopeless productions will be appreciated somewhere else! So very sad to hear this news, Mr Holten has made me fall back in love with opera with his great enthusiasm and energy! I will be particularly sad to see him go and thank him for all his wonderful productions. I wish him all the very best for the future. Great that such a successul and good man ( had privilage of meeting him on a couple of occasions) has put his family at the forefront of his career. Det kunne misforstås, beklager. Det, jeg mente var: KOM TILBAGE TIL KØBENHAVN! Very sad news indeed. Kasper has been a breath of fresh air and Krol was fantastic. I hope to see Kasper back with some exciting new productions after 2017. This is surely good news, primarily of course from the KH family perspective. But bearing in mind that KH's stated objective on appointment of shaking up the ROH has involved hiring a miserable trail of directors who think operas are basically defective and need a lot of additional modern thinking leading to correction/enhancement/additions it's probably good for the ROH as well. Some of the productions were rubbish. But of course we wish KH and the KH family well. Thank you Kasper and hope you enjoyed your time in London. Best of luck. You are extremely down to earth and not afraid to come to this section of the website and face your anonymous critics. Your efforts to add some life to ROH and challenge people's ideas of art are most appreciated. I am deeply sad though I understand Mr Holten's choice to give priority to his family. We owe to Mr Holten lots of fantastic innovations at the ROH, chiefly the extremely successful partnership with the Globe, which led to an extraordinary production of L'Ormindo, but also the partnership with the Roundhouse (L'Orfeo) and a very dynamic program of creations at the Linbury. Moreover I appreciated so much the way Mr Holten used to interacting with the audience, both when speaking in front of the curtain for some announcements and when he created a dialog on blogs and tweets. Mr Holten has not only been a dynamic Artistic Director, he also managed to create a very human relationship with audiences and was always open to discussion, even when audiences disagreed with his artistic choices. I will always remember some amazing performances that I enjoyed under his direction - and yes, I am one of those who loved Guillaume Tell!-. Let me add another voice to those who are sad about this news. I really liked Eugene Onegin (and hope many people will give this production another chance, or a first chance, when it returns shortly) as well as DonGiovanni and KingRoger. And CavPag demonstrated that Holten's faith in Micheletto was not misplaced. Good luck to him and his family! Kasper, very sad to hear of your departure, but good luck in whatever you go on to do. I've had great pleasure in attending many of ROH's great productions over the last few years. So many highlights and I believe that you've really helped people all over the company play their part in ROH's recent successes, and such high production values as well. Thanks for all the memories!! ps. I hope whoever is chosen as successor will have similarly foresight and continue to develop the company. Totally agree, and, like you, I sincerely hope that the Board will appoint a progressive, rather than a reactionary, who can continue Mr Holten's project of leading the RO into the 21st century, as opposed to dragging it back to the 1950s. Nothing to do with the booing then? It is sad news. It feels as though he's only just arrived (I think the present one is the first season that he's fully responsible for and it's actually rather good so far). To read some comments above you would think that controversial productions were invented by him. I haven't liked everything but I'm glad he challenged us and I was looking forward to more. More worrying is that, if some of those comments are anything to go by, what intelligent opera director would want to put his hat in the ring to face that abuse? He's been an honest, engaging and committed director who's been responsible for some great events here - and it's never been dull. I agree with Stephen Diviani and the majority of the comments above. We'll miss his energy and engaging manner...and for thinking "outside the box". Using the Round House for "Orfeo" was a stroke of genius. The greatest and most intelligent staging of Eugene Onegin I have ever seen,solving all the problems of the passage of time, genius- how we will miss him. Let's hope the board don't listen to the sad little group of booers who want to watch reruns of 1950s productions and seem intent on destroying new work at this great house. Very sorry to see you go Kasper. We will miss you. Good luck for the future. only 25 mostly "missing you" comments shown here? I find it difficult to believe it. Why don´t you do "Les Miserables" with operasingers? Hope you`ll find a nice job after London. Why stay until March 2017? This man has allowed money to be wasted on too many inappropriate and inept productions. NORMA is yet another example of a superimposed style that was at odds with the libretto that was being sung. After MARIA STUARDA I thought there could be nothing worse. I was wrong. It was probably the wrong venue for Mr Holten's work- perhaps another company eg ENO would have been more suitable. The Royal Opera is significantly subsidised by taxpayers and of late, there have been only a tiny fraction of the audience that the revised and rebooted operas seemed to be aimed at. A lot of money lavished on getting the best singers of the day to perform in disappointing productions that ruined our enjoyment of a great score and brilliant singing talents. Not surprising that more cancellations seem to occur of late and with this House. I've been attending operas at Covent Garden since the 80s when I was at school and never have I had so many guests and myself sorely disappointed with every opera outing as we've had in the last 3 years. (This coming from someone who sees avant garde works at Sadler's Wells and ENO). I wish Mr Holten the very best of luck with his future plans.